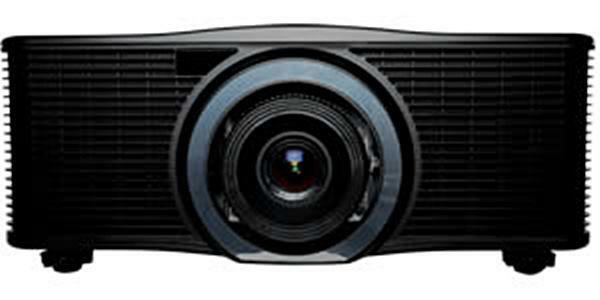 The Casio XJ-H2650 rated at 3500 lumens and weighing 15.6 lbs., is one of the first projectors to combine Casio's hybrid LED-laser light engine with 1280x800 resolution and brightness available only in Casio's Pro series installation projectors. If you've been intrigued by Casio's hybrid light engine, but wanted the Pro models' brightness at higher resolution than they've offered until now, this may be the projector you've been waiting for. Notable features include near excellent data image quality and conveniences like Wi-Fi support and the ability to read files from a USB memory key. However, the light source, which uses red and blue LEDs plus a blue laser shining on a phosphor element to produce green, is responsible for some of the projector's key strengths. In particular, it eliminates both mercury-based lamps and the expense of replacing them, since it's designed to last the life of the projector. The low running cost makes the XJ-H2650's $2199.99 initial price a lot easier to justify. The total cost of ownership can be lower than for a less expensive projector with a 2000 to 3000 hour lamp life and a $200 or $300 lamp replacement cost. Along with the data image quality and convenience features, it helps make the XJ-H2650 a strong candidate for a small to mid-size conference room or classroom. Given that the brightness in Bright mode is 15% below spec, the color issues, the loud fan noise, and a description of what sounds like very poor video quality, it seems like the 4 star performance rating is VERY optimistic. And given Casio's track record for their light engines failing far short of their rated lifespans, the 4 star value rating also seems high. With many companies introducing these kind of projectors now, Casio's poor reliability and poor performance can't be excused anymore. Unless all the others are just as bad. Your comments are unfounded. We recently purchased 2 of these (the twin sister model 2600), and they perform very well. I chose them based on my 14 years of personal video projector experience (having personally owned over 20 projectors), and my 25+ years of EE product design experience. One of my most important issues when purchasing video projectors for my employer, is "idiot-proof-ness"... for lack of a better word. 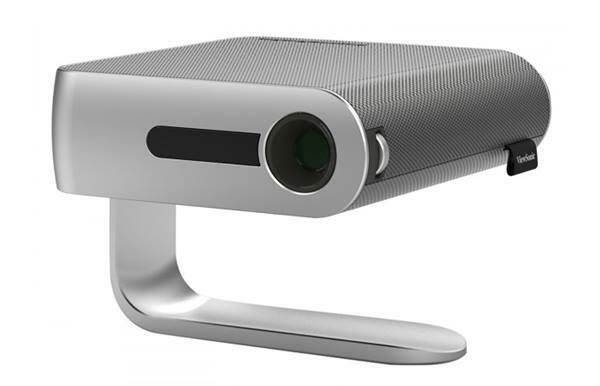 These "Hybrid" projectors can be operated COMPLETELY like a home TV... turn it ON and OFF "at will"... TOTALLY without regard for the "Lamp". I've had users short-cycle Metal-Halide Lamp equipped projectors before, and know all too well what a Lamp explosion does to the inside of a projector. I have replaced several lamps due also to the AC power being removed without a proper cool-down time. While Casio did have issues with their earlier "thin" Hybrid projectors due to thermal management issues, these new products are not those products. There are no less than 4 fans in these that are visible from the exterior, so I'd say they got those old problems solved in this MUCH larger product series. The recently extended warranty period (now 5 years) gives evidence of their confidence. It's best to reserve comments until you own the equipment, so you don't sound like someone who has a grudge to voice, and no first-hand experience or knowledge of the product you are commenting on. This could be interpreted as libel, since you are not basing your comments and negative judgements on first-hand knowledge & experience.